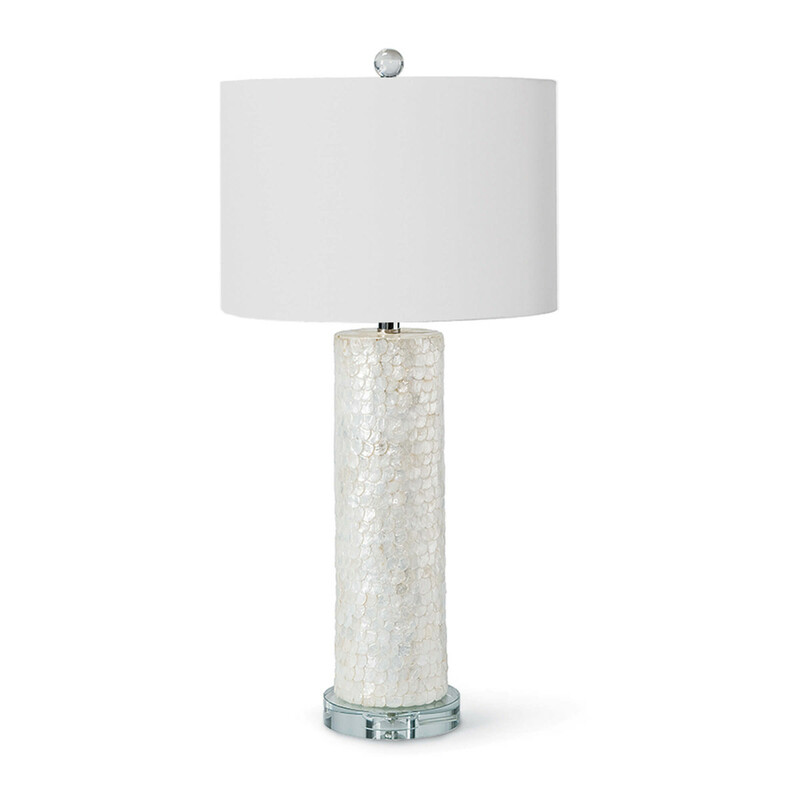 The Scalloped Capiz Column Lamp will brighten any spot in your coastal cottage. Made from materials found naturally at the sea and topped with a white shade. Features a 3-way switch and takes one 150 maximum wattage bulb (not included). Natural and semi-precious materials are products of nature, variations in color, pattern, texture, size, and veining are not considered a defect.